Wall Street analysts had long ago predicted that the stock price of Priceline (NASDAQ: PCLN), the company that showed up around the dot-com bubble era, would stretch to around $1,200 per share. But it blew away all forecasts and topped expectations hitting a new all-time high of $1,400 a share. Today Priceline, the online travel company known for its pitchman William Shatner, has the 4th highest-priced stock in the S&P 500 after NVR, Seaboard and the A shares of Warren Buffett’s Berkshire Hathaway. Is the company’s share price pushing towards $2,000 a share or has it become too high? Can Priceline, the largest online-travel agent by market value, get you a great deal on its stock or is the bargain restricted to travel services? Priceline’s earnings per share surpassed analysts’ estimates thus far and had only traded in the 4-digit range since October 2014. The high share price keeps it out of reach of the retail investors. EPS estimate for 2015 is expected to be 20x, and that is right around the effective price of the current stock price. Priceline has perfected a formula for getting more visitors to its Website that increases the quality scores Google uses to order search results. Hence, Priceline doesn’t pay as much as rivals to vie for the top position in travelers’ queries leading more hotels to flock to join its network to access that demand. Thus, a virtuous cycle ensues that leaves plenty of money for the company to return cash to shareholders, to make smart purchases, to innovate and to improve Priceline’s mobile app. One of the factors that led to Priceline stock’s flirtation with the high nominal price was its execution of one-for-six reverse stock split when the company was in so much trouble in 2003. Although it remained moribund for five years, adjusted for that reverse split, the company hit a high of $974/- making it one of the few hot stocks of the original dot com bubble. Companies do that when their stock price gets into the triple and quadruple digits. Currently, the trend among companies is not to split their stock. Although some of the shareholders began calling for a split and the stock is a prime candidate for a split, the company has no such intention anytime soon. Neither has Priceline’s refusal to split scare away investors. In addition to the acquisition of Amsterdam-based Booking.com, the leading global platform, the company bought Bangkok-based Agoda.com as well as the travel search engine Kayak Software Corp., the restaurant reservation site Open Table, China’s Ctrip.com and Rentalcars.com that helped them diversify their travel business geographically. The free cash flow, one-for-six reverse stock split, and their strategy of snapping up companies gives it an optimistic outlook and has enabled the stock to reach the landmark level. Priceline’s top rivals in the online travel space include Expedia Inc., Trivago, TripAdvisor and Orbitz Worldwide Inc. although they do not enjoy the same success as Priceline. With a market value of $60 billion Priceline dwarfs the competitors. Even with Europe’s financial crisis, Priceline displayed extraordinary resilience with its overseas business. This vigorous profit growth has placed the company in an elite class of desirable large-capitalization growth stocks that bring premium valuations. Investors fret about the strong U.S dollar. The travel-booking site gets 70% of its revenue from outside the U.S that is a real source of long-term growth. But U.S dollar remains unyielding against foreign currencies, especially the euro. Therefore, currency headwinds weigh on Priceline’s quarterly results. Priceline’s stellar international growth should ideally offset weakness at home, but the exchange rates for the British Pound and Euro significantly reduce its growth rates when translated into U.S dollars. The consensus on Wall Street is that the $2,000 mark may not happen anytime soon. Even those optimistic analysts who name Priceline as the top online travel pick targets the price at a maximum of $1,835 which is well short of the $2,000 mark. For Priceline to eventually reach the expected target, it will need to expand its global user base and grow its global market share through its strategic acquisitions. Fortunately, the company is in a superior position to do just that. 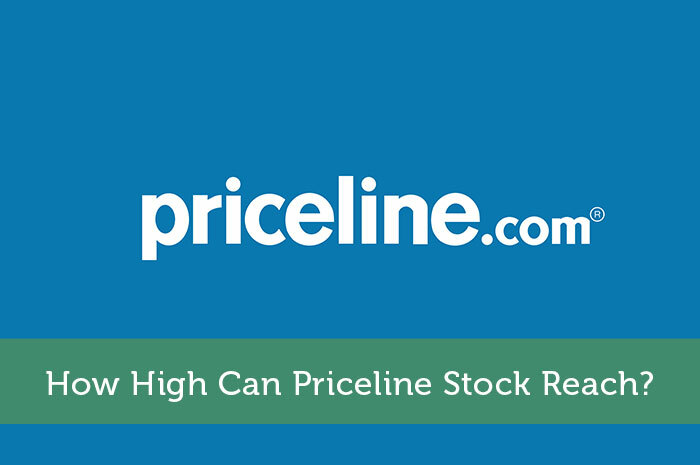 How High Can Priceline Stock Reach? Joshua Katz, CPA is the founder of Universal Tax Professionals, an expat tax and accounting firm serving the needs of Americans living abroad. Joshua graduated from Boston University's School of Management and worked for several large accounting firms before realizing that he could provide his clients better service at lower rates. Feel free to email him directly at josh@universaltaxprofessionals.com.